The book begins with a now familiar scene of the indomitable Gauls' village. 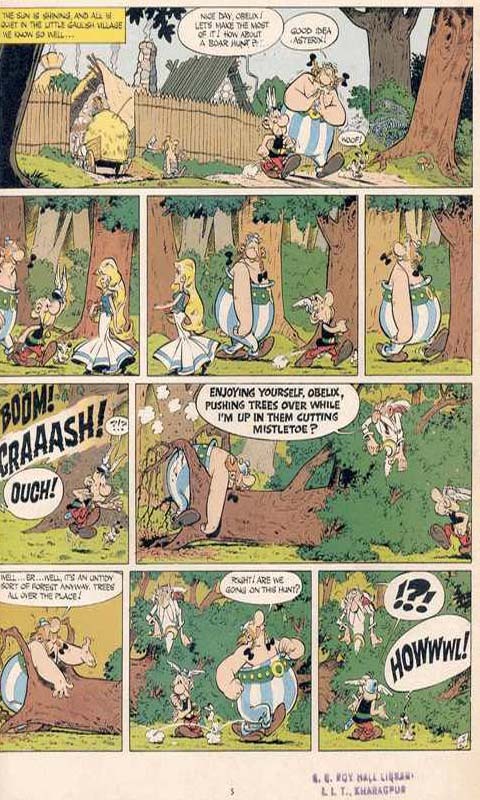 Asterix and Obelix are setting off for a wild boar hunt when they pass a beautiful blond young lady by the name of Panacea who has been picking mushrooms. She has returned to the village after studying in Condatum. Obelix immediately falls in love. After a few scenes of Obelix embarrassing himself, Panacea receives word that her fiancé Tragicomix has been conscripted into the Roman army and shipped to North Africa. 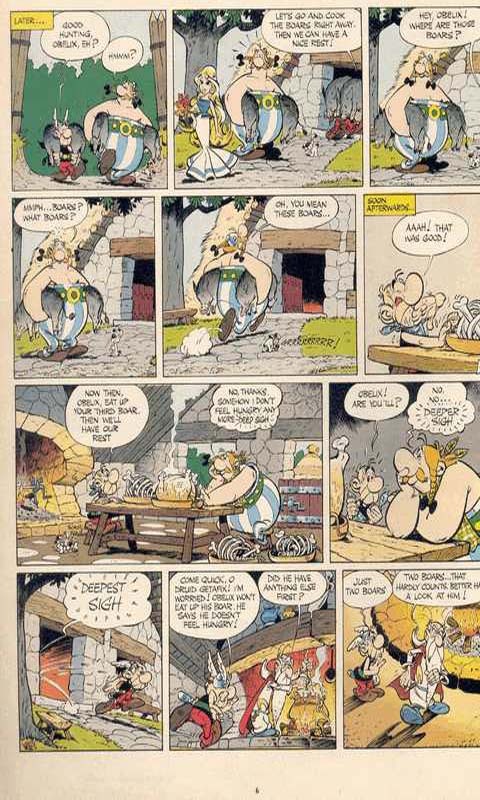 Asterix and Obelix promise Panacea that they will return Tragicomix to her, even though it breaks Obelix's heart. Asterix and Obelix head for Condatum where they learn that Tragicomix has already left for Massilia, the Mediterranean port from which the soldiers depart.